In North Carillon, LLC v. CRC 603, LLC, Case No. SC 12-75 (January 23, 2014), the Court addressed the issue of whether a condominium developer is required under the Florida Statutes to have separate escrow accounts for certain funds held in escrow pursuant to unit purchase agreements. Subsection 718.202(1), F.S., requires developers to “pay into an escrow account all payments up to 10 percent of the sale price . . . .” Subsection 718.202(2), F.S., provides that “payments which are in excess of the 10 percent of the sale price described in subsection (1) and which have been received prior to completion of construction by the developer . . . shall be held in a special escrow account established as provided in subsection (1) . . . .” What has been in question is whether the account required under subsection (2) must be separate from that required under subsection (1), requiring developers to have two different accounts for each buyer who paid into escrow more than 10 percent of the sale price. The Third District Court of Appeal had decided the case in favor of two separate accounts in its decision in CRC 603, LLC v. North Carillon, LLC, 77 So.3d 655 (Fla. 3d DCA 2011). That court had followed the United States District Court for the Southern District of Florida in Double AA International Investment Group, Inc. v. Swire Pacific Holdings, Inc., 674 F. Supp. 2d 1344 (S.D. Fla. 2009) and found that without two separate accounts, a buyer’s purchase contract was voidable by the buyer. Since many developers believed in good faith that only one account was required, these decisions contributed to what was already a rising tide of litigation following the market downturn. 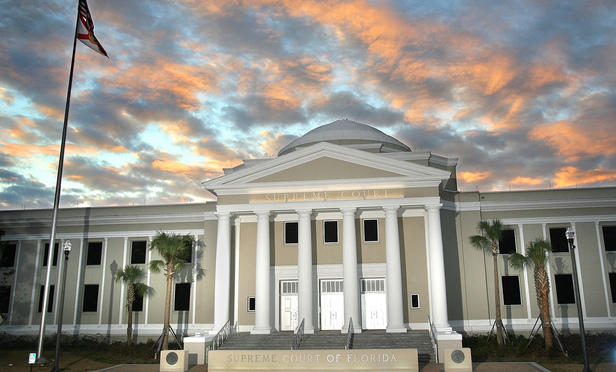 In the recent decision, the Florida Supreme Court disagreed with the other courts, determining that the language in question was ambiguous. It also examined statutory history but remained unable to resolve the issue based on the statutory text. Ultimately, because Subsection 718.202(7), F.S., provides that a willful violation of the statute by a developer is a third degree felony, the Court applied the rule of lenity to the case. The rule of lenity provides that ambiguity be construed in favor of the party who would be the accused in a criminal proceeding so as to avoid a harsher penalty than what was intended. Because it was not clear that a developer need maintain two separate accounts to avoid charges of a third degree felony, the Court found that the developer could maintain all funds in one escrow account. As the courts resolve these remaining issues from the market downturn, we will continue to monitor all of the important rulings and discuss their impact for the real estate industry in this blog. We encourage industry followers to submit their email address in the subscription box at the top right of the blog in order to automatically receive all of our future articles.